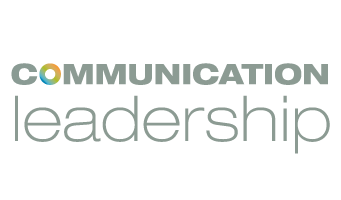 What makes Comm Lead different than other professional master’s programs? You could say it’s the unique focus of our curriculum, at the intersection of digital communication and community. Or you could say it’s our accomplished faculty, who gracefully span the professional and academic worlds. Or it could be our position as a small, independent program, hosted inside one of the world’s top public universities. But ultimately, what really sets Comm Lead apart is community — the 180-plus individual students (and hundreds of alumni) whose stories, personalities, and passions come together in our program. That was the inspiration for the five students in last winter’s Multimedia Storytelling: Digital Distribution and the Story class, who created a YouTube channel dedicated to documenting some of the extraordinary humans who make Comm Lead what it is. Tell us a little about the inspiration for the Humans of Comm Lead project. We created ‘Humans of Comm Lead’ for Drew Keller’s Multimedia Storytelling Class. Our goal was to showcase our Comm Lead classmates’ unique talents, passions, and hobbies that led them to the world of Comm Lead, where we all connected as communication professionals. We wanted to tell our classmates’ stories to show the future members of the Comm Lead community that everyone has a story to tell and can channel their passion into a deliberate career path in digital communications. As a major component of our project, we learned the basics of video production (camera, lighting, angles, etc.) and gained skills on how to promote our channels using SEO and strategic copy. In the end, we put together a business plan that outlined our strategy for channel promotion if we wanted to continue working on it. What was it about the Comm Lead community that made you want to document it in this way? 1) Most students in the Comm Lead community know that they want to do communications for a career, but often don’t know what to focus on. In our video stories, we decided to explore each students’ passions and connect the dots between their interests and direction of their studies at Comm Lead. 2) The Comm Lead events and networking sessions are very professionally-oriented. We often talk about our goals and experience, but don’t have a chance to learn about the more unique hobbies and talents we have as people. Humans of CommLead is a way to showcase those talents. The project shows of the differences in interests, lifestyles and skillsets of Comm Leaders. Are there things you think unite them, as well? Absolutely. The key takeaway from viewing this channel is that although we are all different and have many interests, lifestyles, and skillsets, they can all be applied to storytelling and modern communication. Everyone has something to offer. It doesn’t have to be an official professional gig or a job. As long as you as a person are aware of your unique talents and want to find a way to apply it professionally, you have something to offer to a potential employer. What were your big takeaways from the digital distribution elements of the class, especially with respect to this project? Our biggest takeaway is that video production (and any kind of multimedia production, really) involves a lot of elements besides actually filming on camera. Audio, lighting, diction, thoughtful interview questions and, most importantly, having a clear idea of what story we want to tell before actually filming. Something important we also had to keep in mind is that we had five people working on 15 different videos and they all had to stay under the “Humans of Comm Lead” umbrella/theme. So we had to constantly communicate and check in with each other on the topics of our videos and their content. In the end, all these elements have to come together to tell one cohesive story and it’s incredibly satisfying to see them fit like puzzle pieces into one big picture. You can check out the full Humans of Comm Lead channel here, or view a few highlights below.